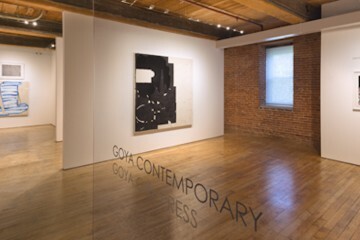 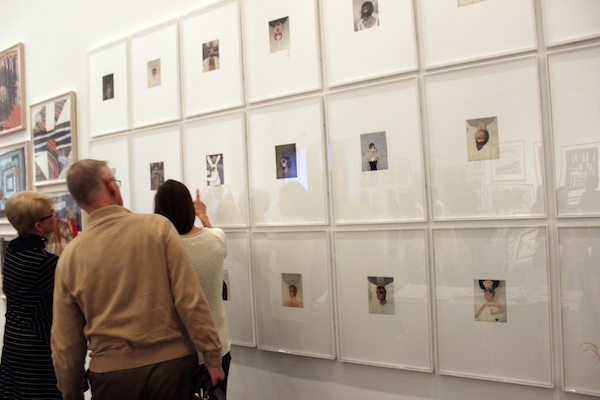 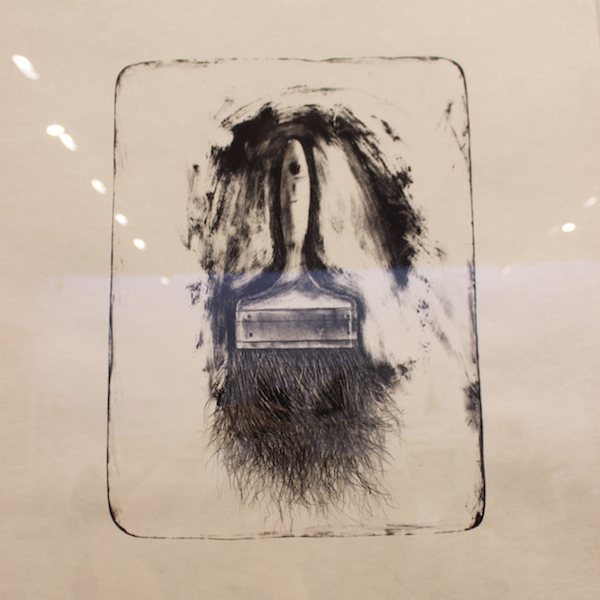 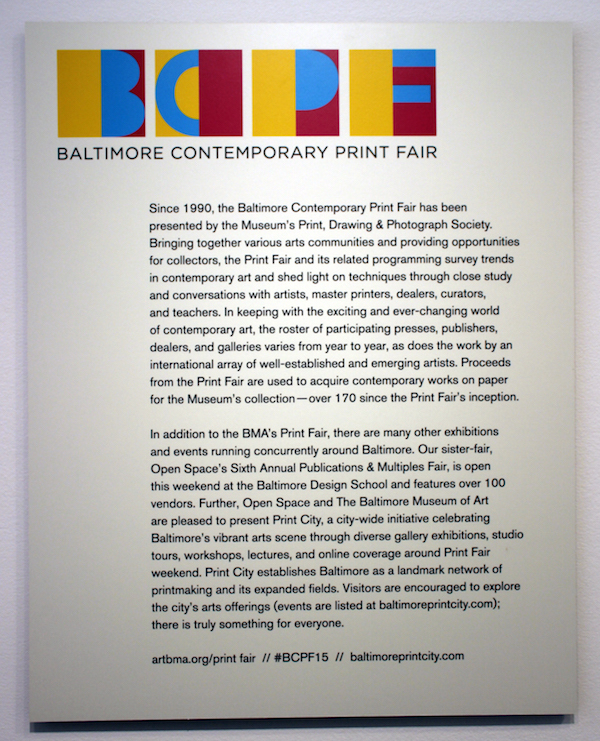 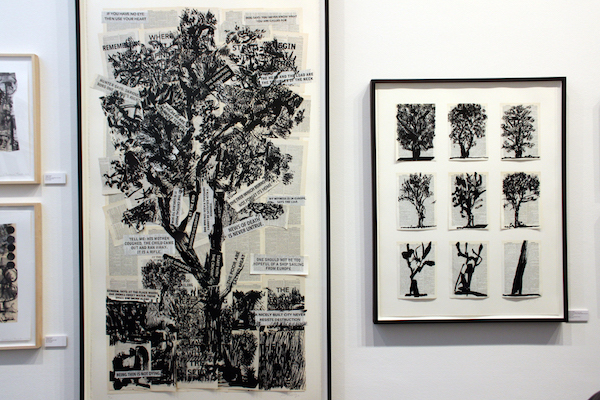 The Baltimore Contemporary Print Fair moved into the special exhibition rooms at the BMA last weekend and filled the space with works on paper hung salon-style, propped on tables, and leaning against the walls. 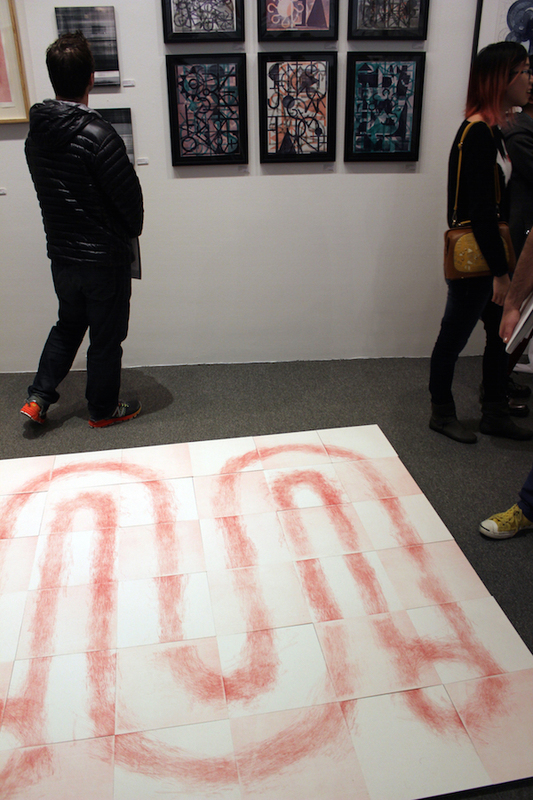 There was even one brave dealer who installed a delicate tiled paper work on the floor. 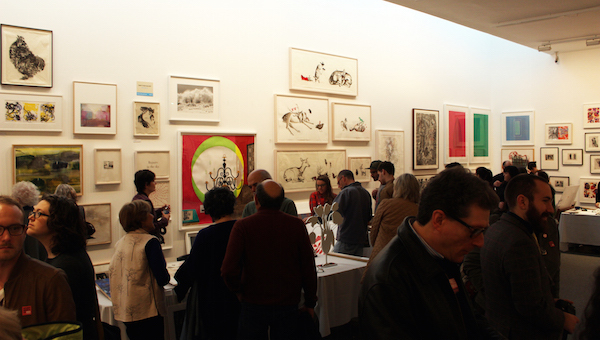 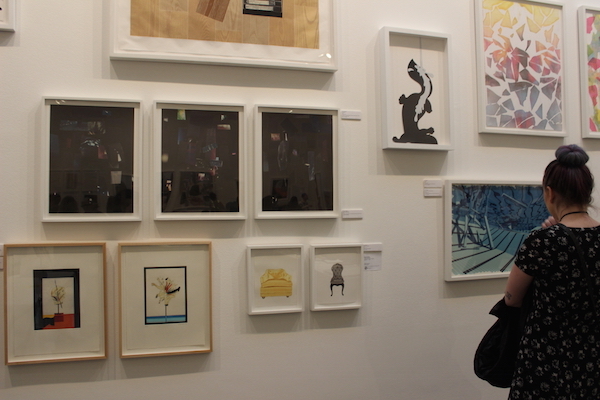 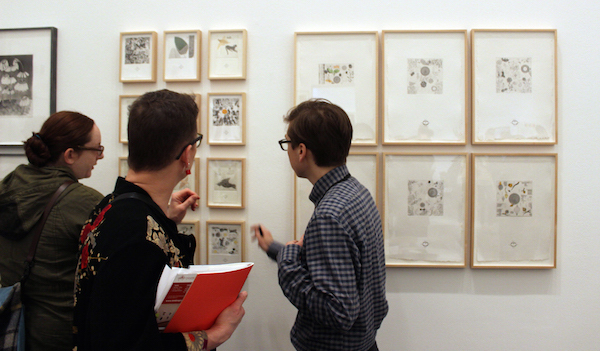 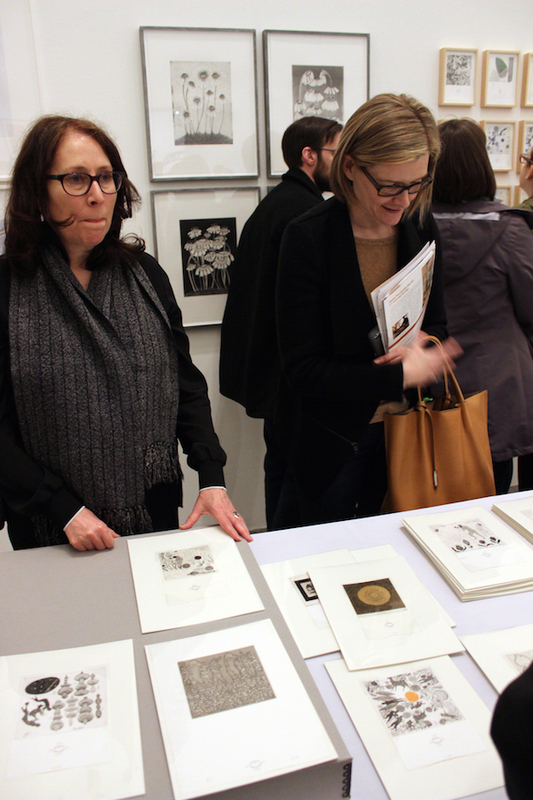 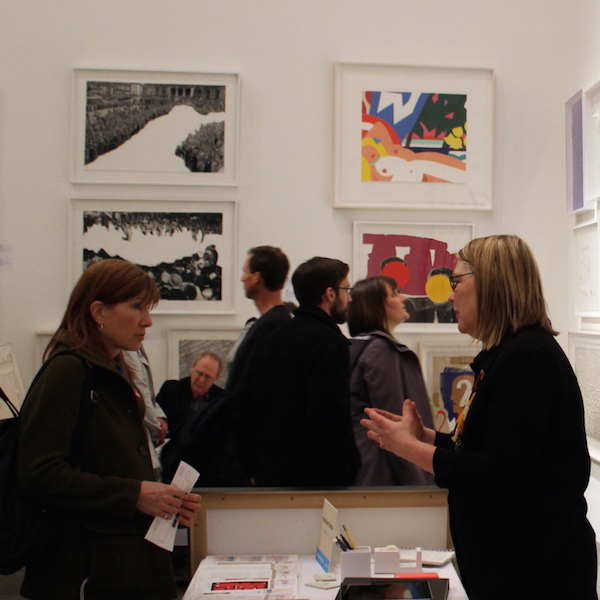 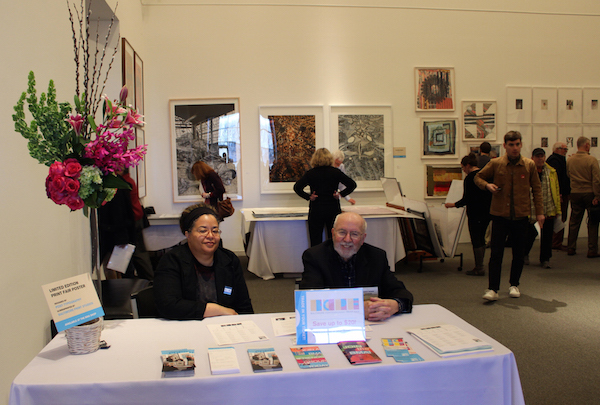 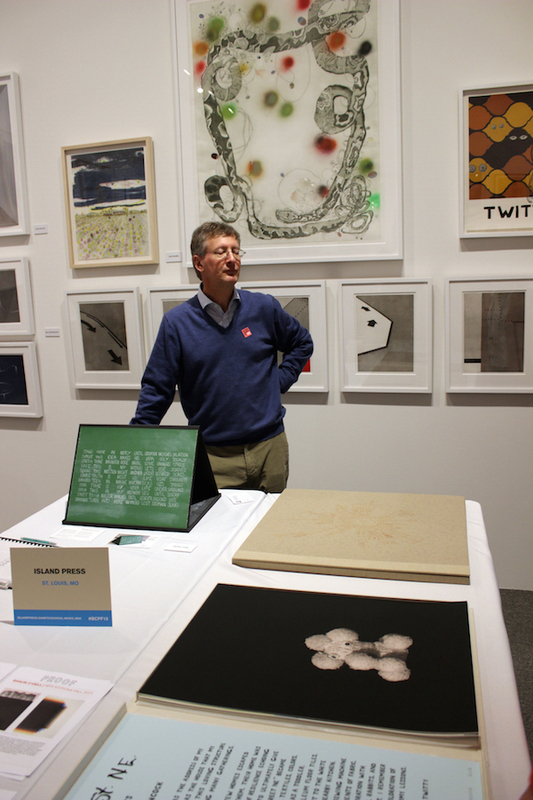 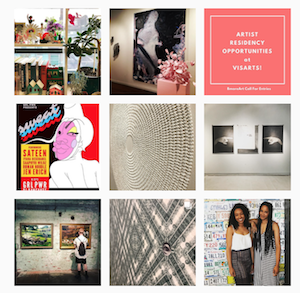 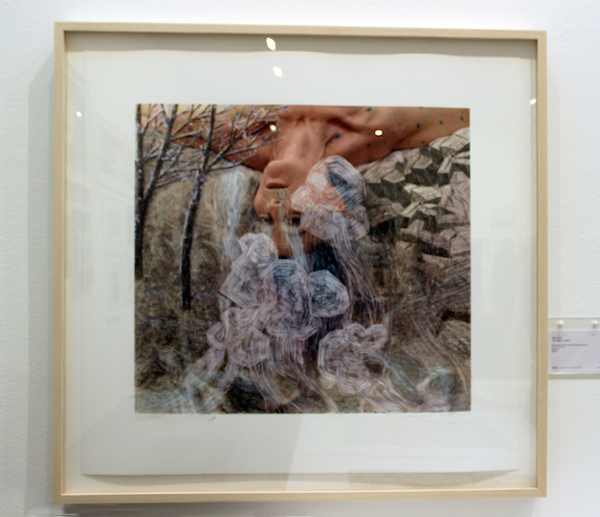 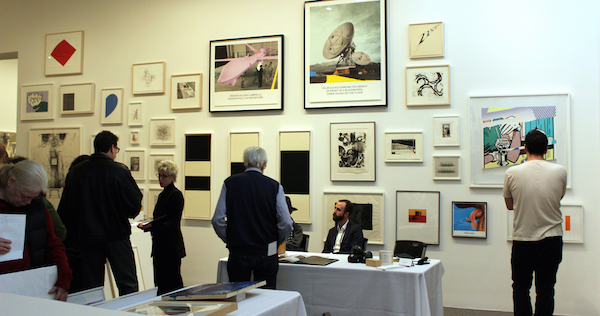 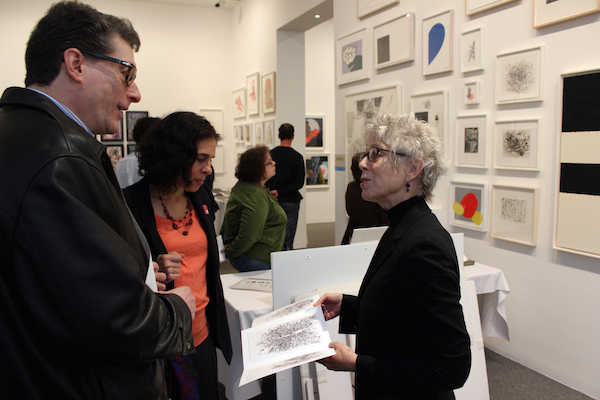 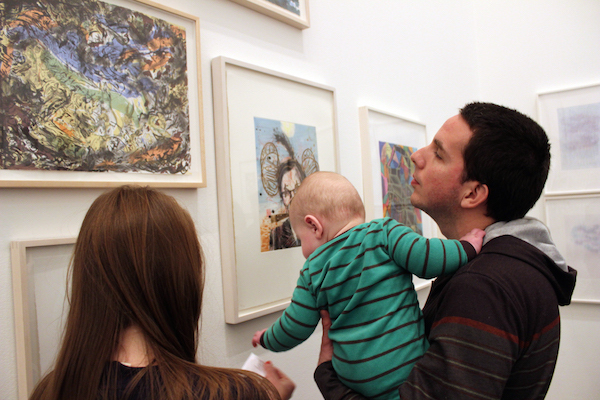 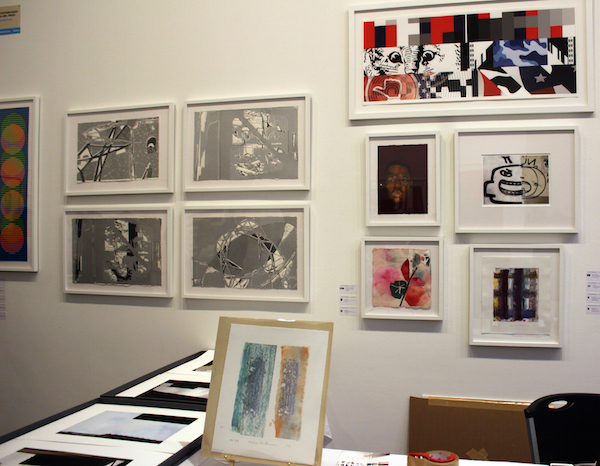 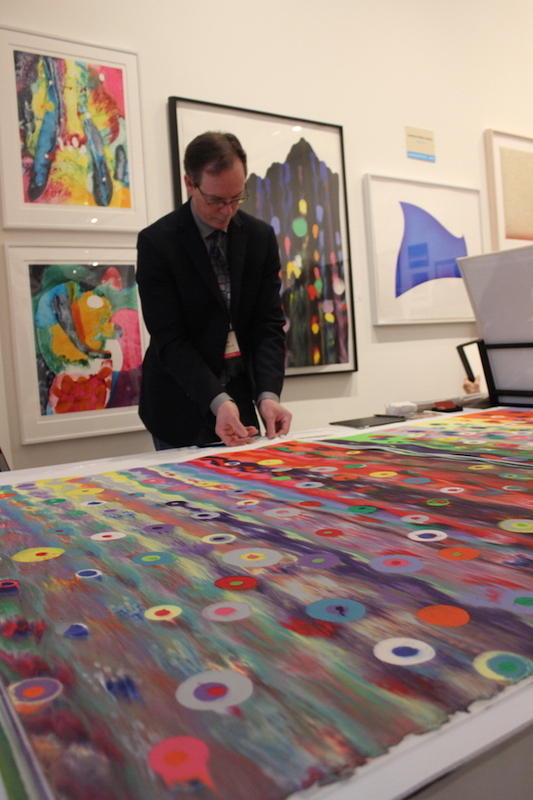 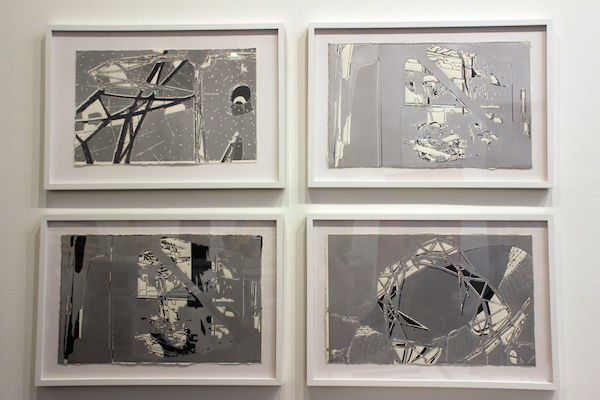 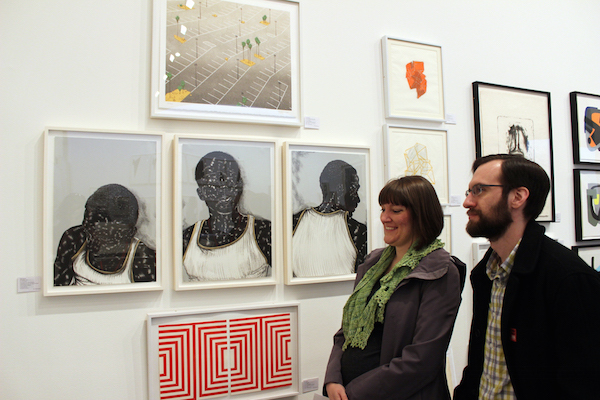 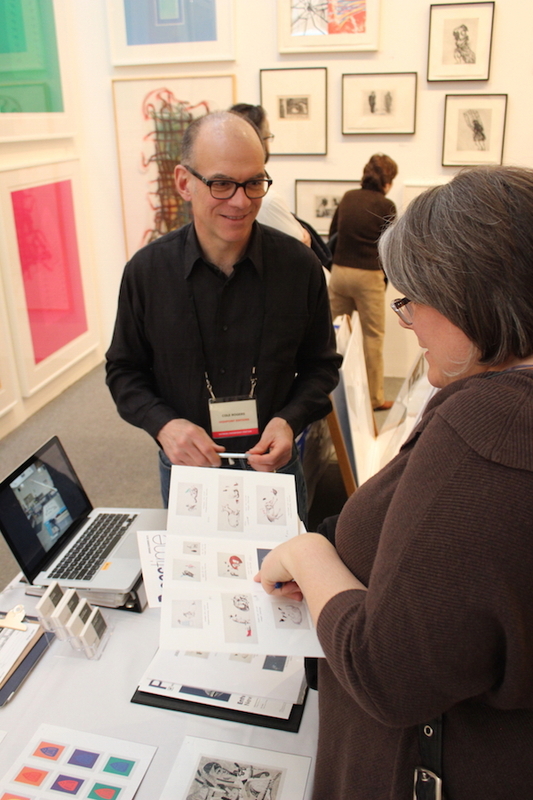 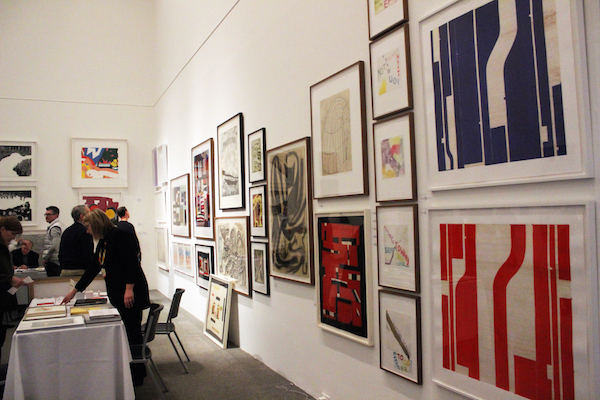 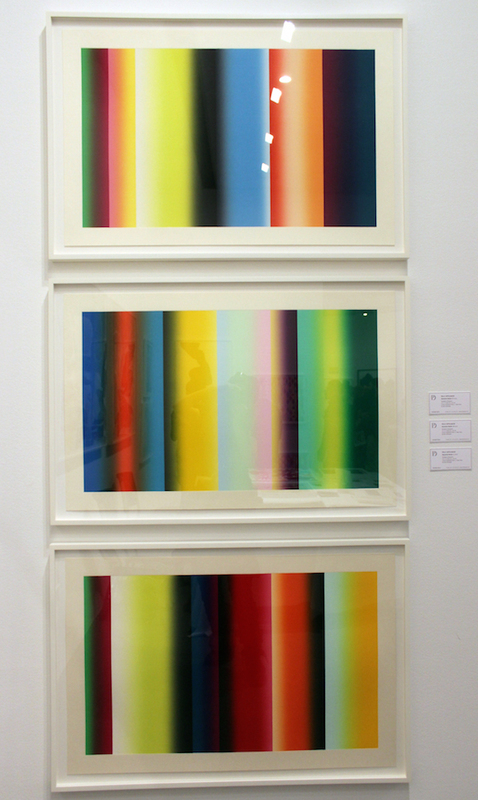 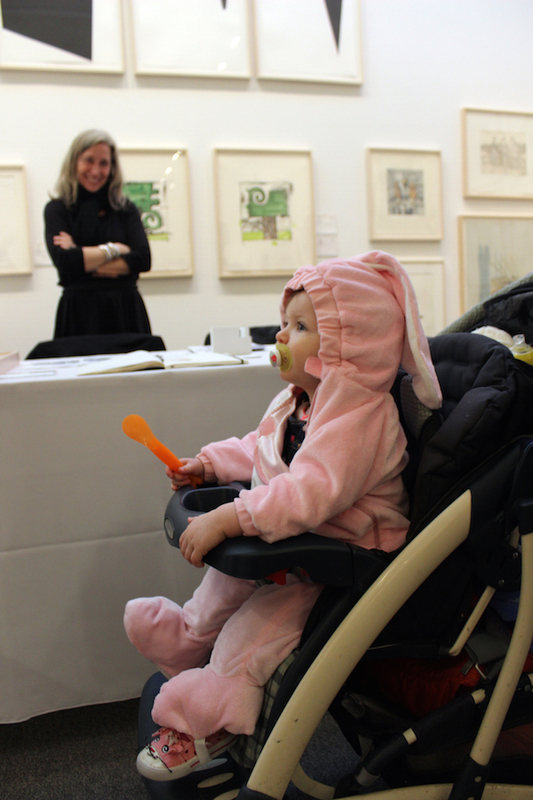 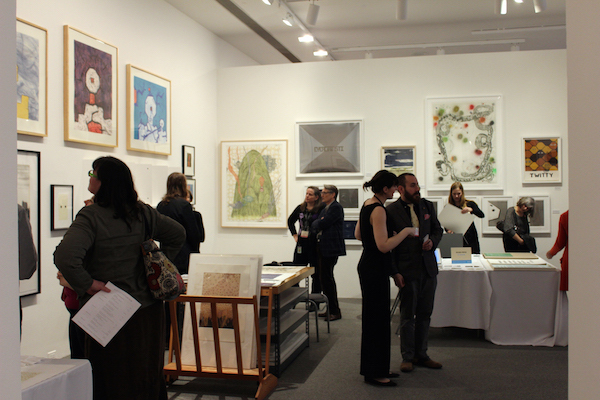 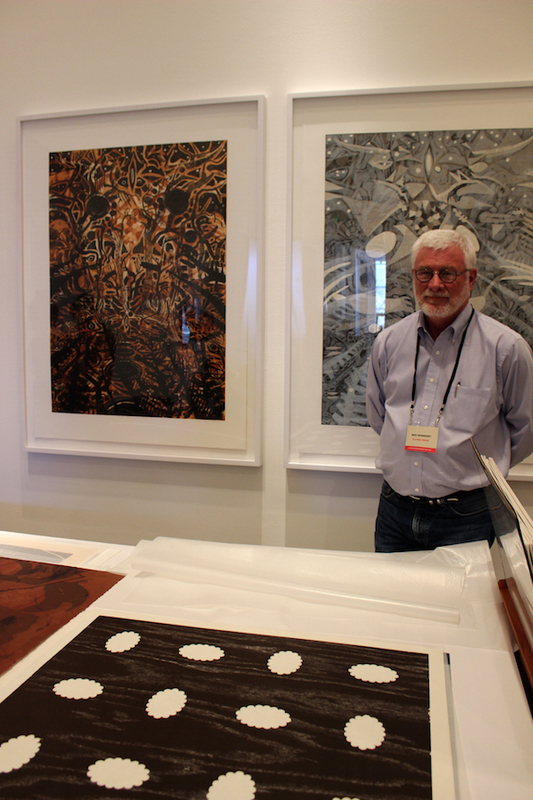 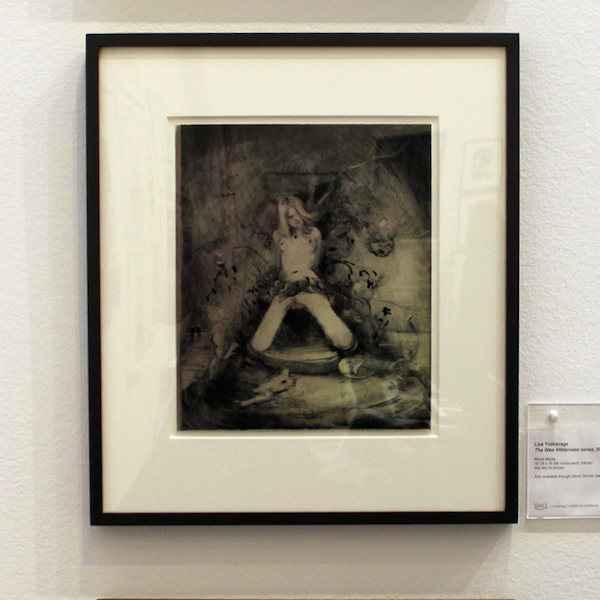 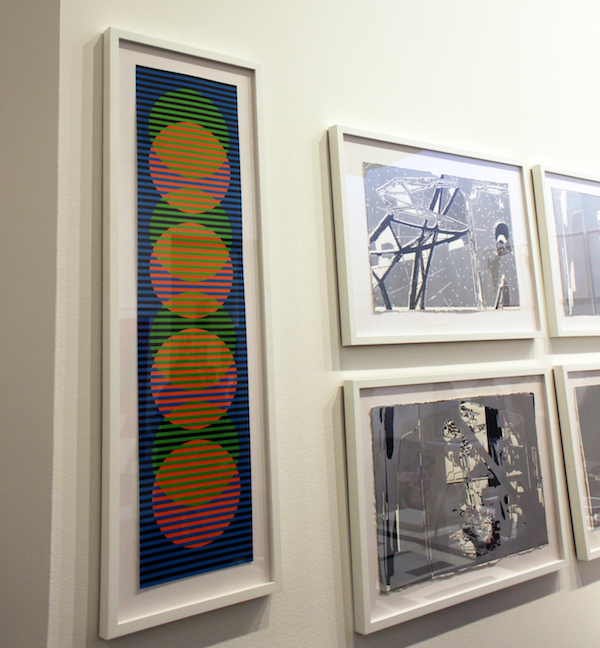 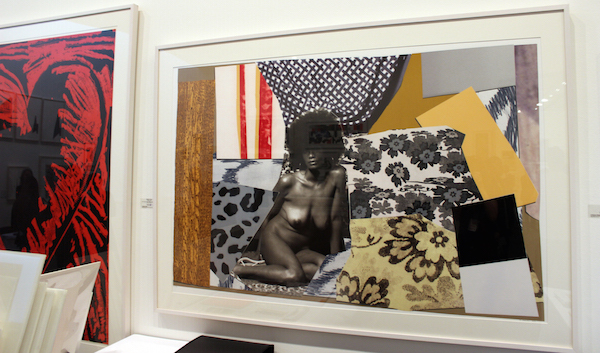 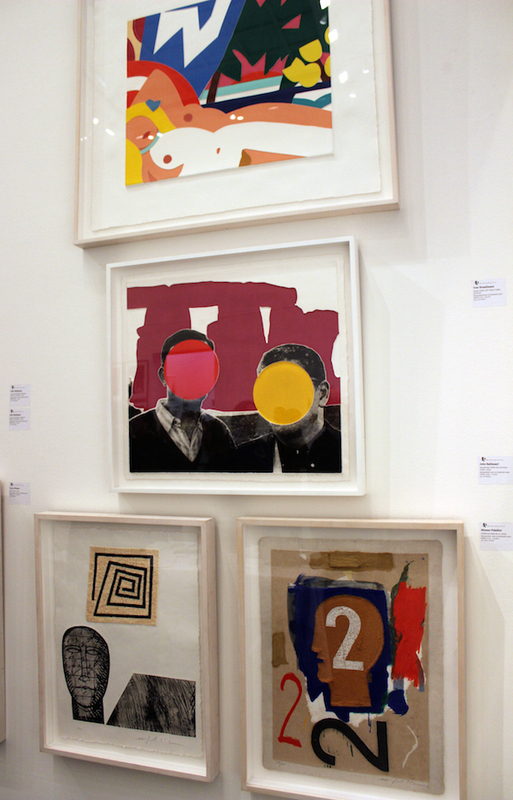 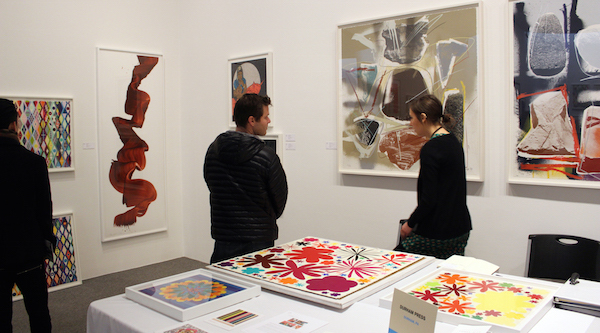 The 2015 Print Fair featured twenty-one vendors from across the US and works by hundreds of artists. 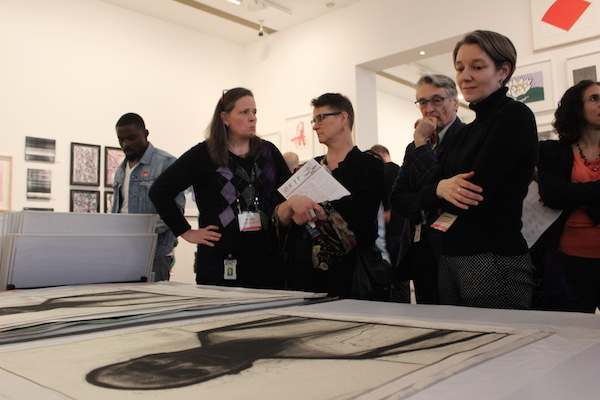 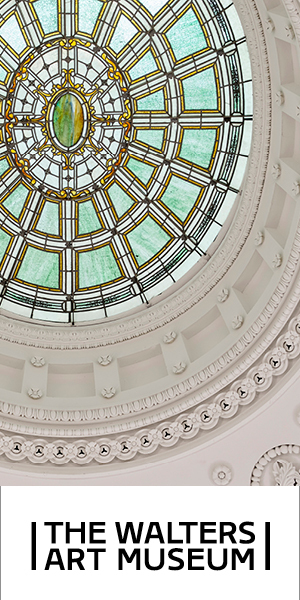 The usual way one views work at the BMA is to enter the large rooms quietly, viewing and reading the accompanying texts and generally having a one-on-one experience with the art. 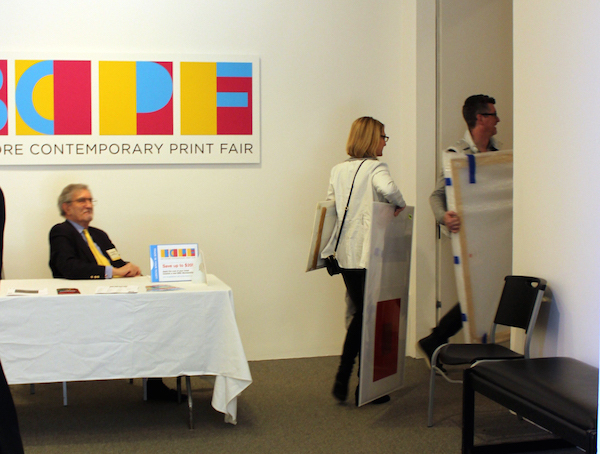 However, the Print Fair was the opposite of that. 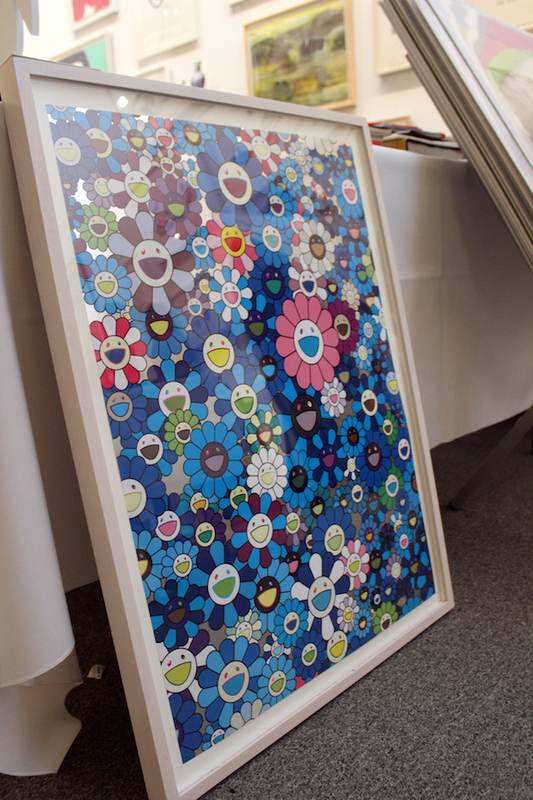 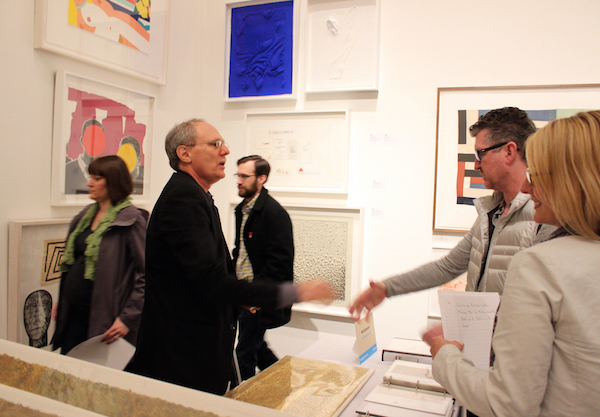 There were energetic and inquisitive conversations between viewers, dealers, potential buyers, and confirmed buyers. 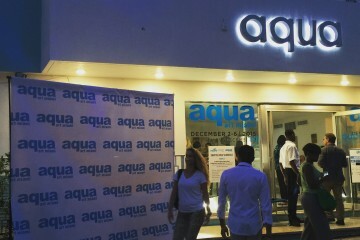 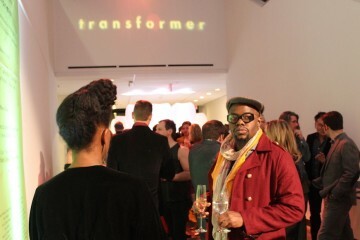 If you have been to any of the bigger art fairs that happen in NY or Miami, comparatively, this was a very intimate and approachable event. 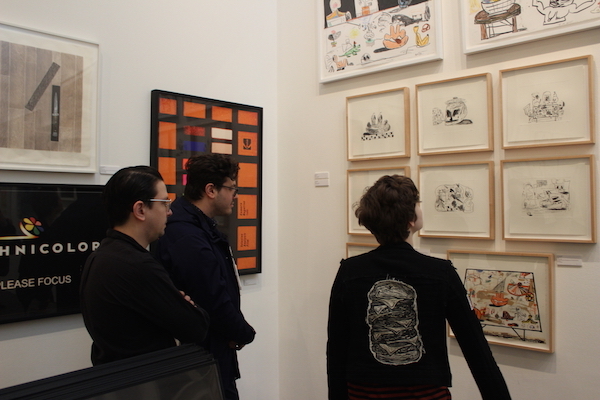 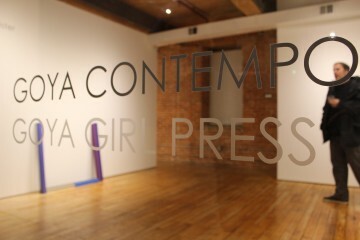 You could easily see all of the works and they were, for the most part, all strong works on paper by emerging artists and big name artists alike. 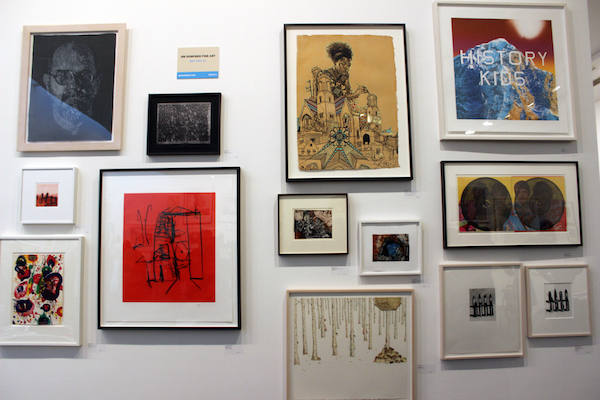 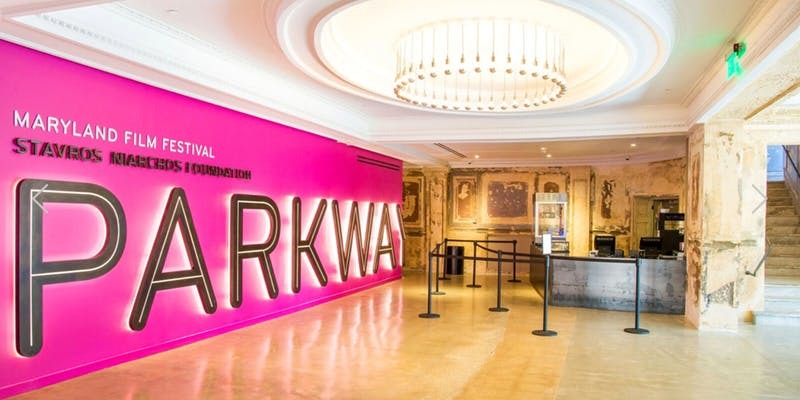 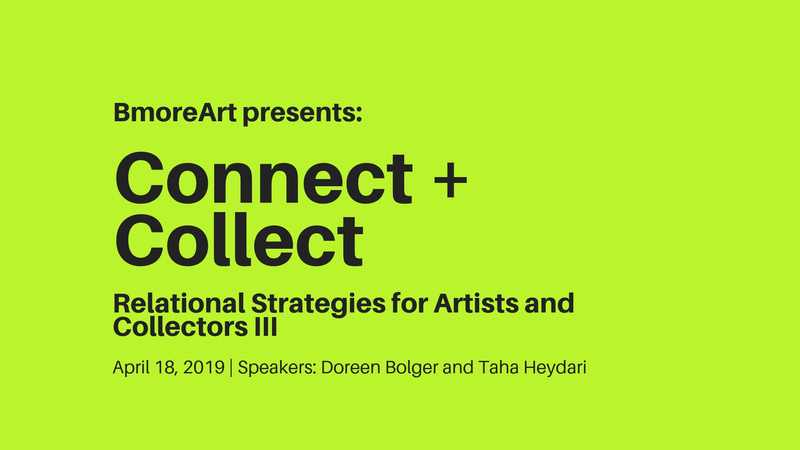 There were wonderful pieces by artists like Jim Dine, John Baldessari, Marc Chagall, Mickalene Thomas, Lisa Yuskavage, Wayne Thiebaud, William Kentridge, and Takashi Murakami. 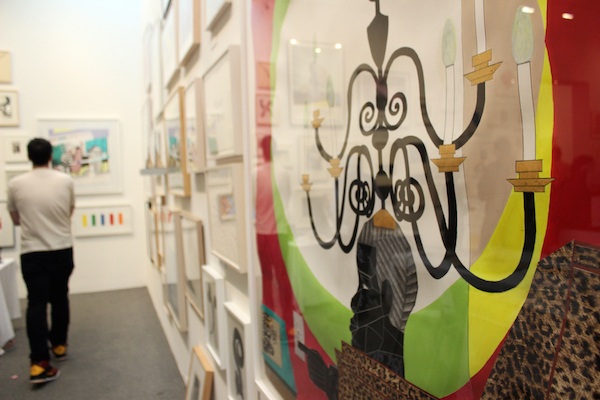 Thankfully there was very little of the bad filler art that I have seen at bigger art fairs. 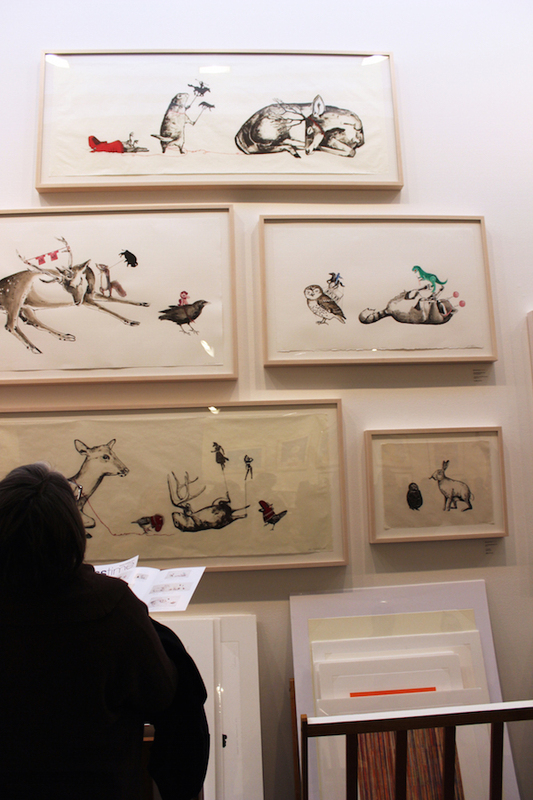 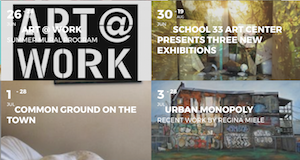 If you have never been to an art fair before, then the experience of being able to engage easily with the dealers as if you are buying fruit at the Saturday market and then carry your new purchases directly out of the musuem halls is a bit intoxicating! 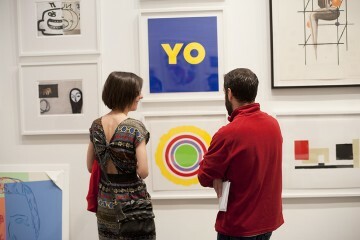 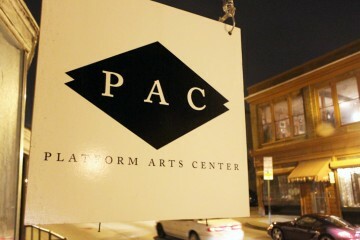 I saw more than a handful of deals going down and folks walking out the door with large works of art under their arms. 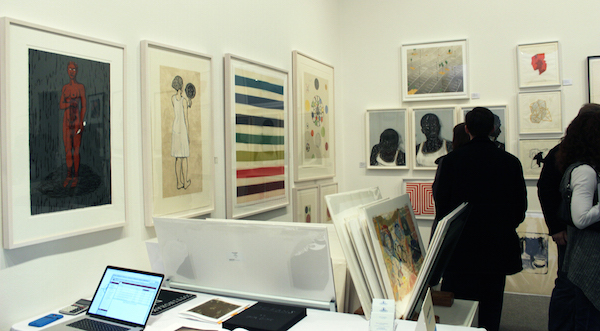 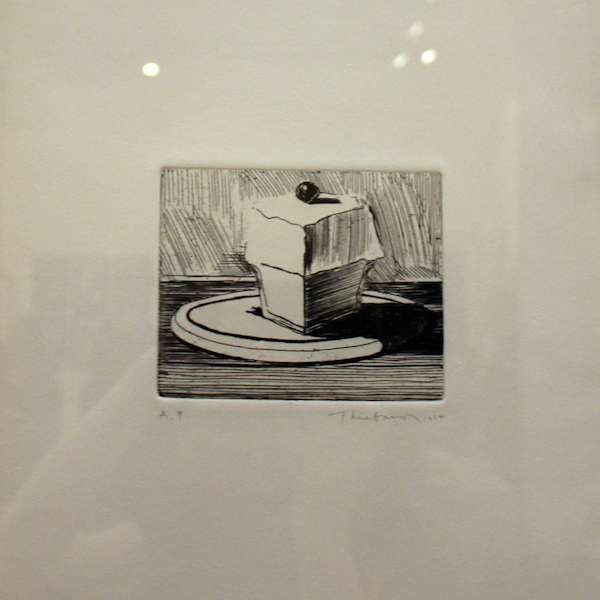 Purchasing a print is one of the least expensive ways to begin collecting art. 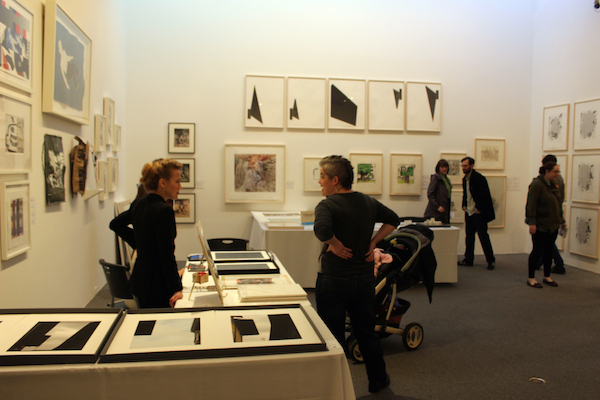 Clearly the Baltimore Print Fair goers came with checkbooks ready! 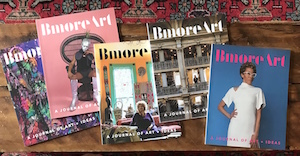 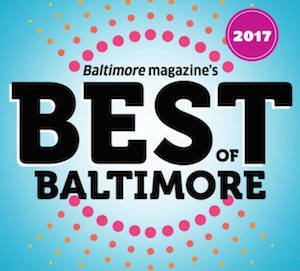 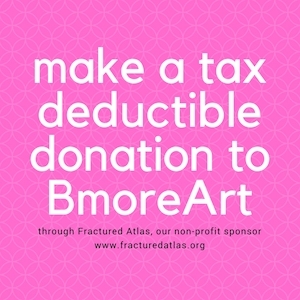 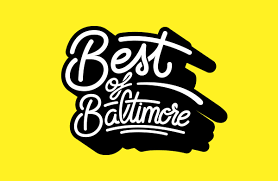 Author / Photographer Joan Cox is a Baltimore-based artist.